And bonjour Autumn! 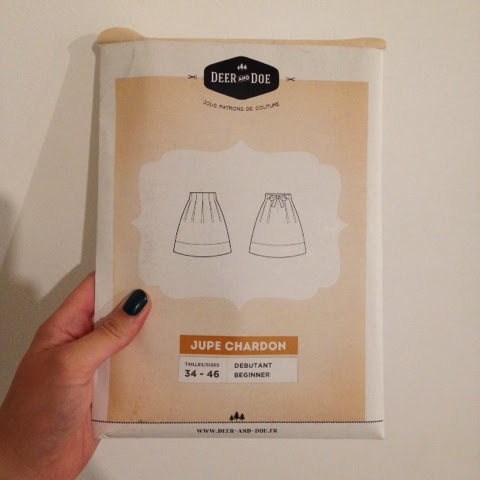 On my recent trip to Ray Stitch in London, I picked up my very first Deer and Doe pattern, the Jupe Chardon - which Google reliably tells me can be translated to 'Thistle Skirt', how lovely! The design of the packaging is just as lovely as it's name, and is probably one of the reasons why I found it so appealing. Judging a book by it's cover, 'how shallow!' you say. Well the contents didn't disappoint either. I had a little trawl on Pinterest and saw some lovely summery chambray versions, but as the weather is rapidly turning cold in the North of England, I thought it called for something a bit more autumnal. I chose a medium-weight brown polyester, that despite photographing terribly (excuse the bad lighting and phone camera) looks like a nice, warm wool. I was tempted by the version that has a bow at the back, but I decided to make the standard skirt with belt loops to wear with my growing collection of jazzy handmade tops. 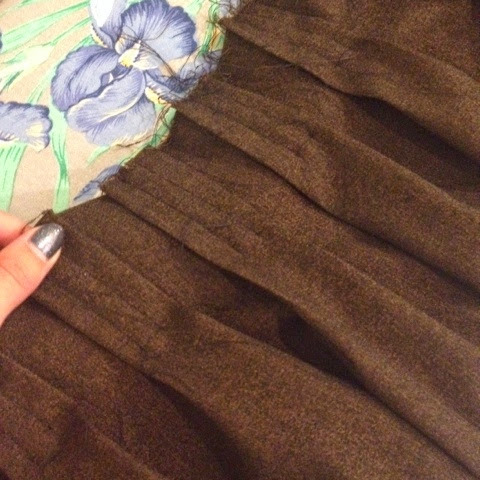 Here's a shot of the inverted box pleats from the wrong side. If you ignore all the loose ends and raw edges, it actually looks pretty cool from this side - at least I think so! 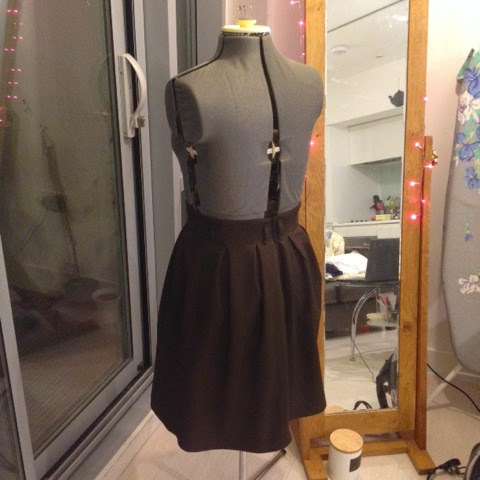 I made the box pleated skirt from the Great British Sewing Bee book earlier in the year, and the Chardon Skirt is pretty similar, you just sew a 3" vertical seam down into the pleat for that nipped-in waist effect. 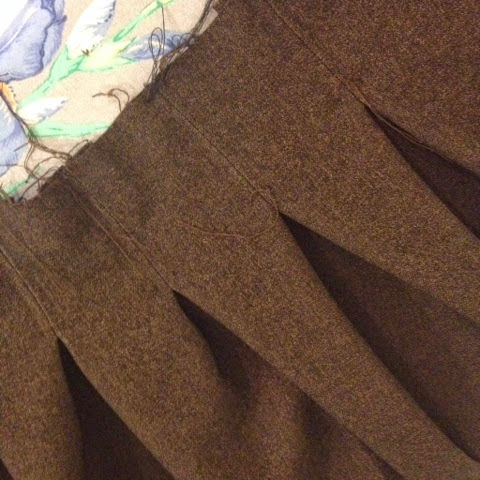 As soon as the box pleats were done, the skirt was an absolute whizz to finish off - or at least it would've been had I got the fit right! 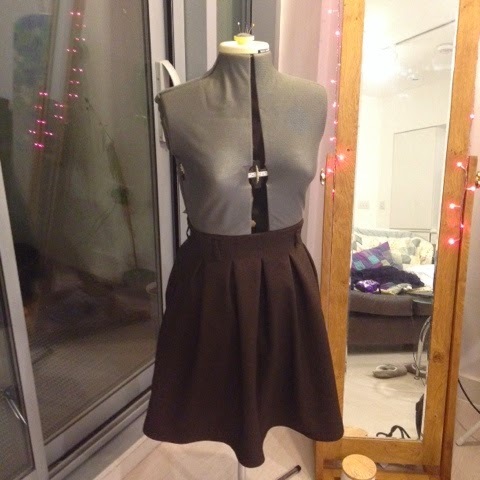 The waist is already pretty sturdy , you just have to add the interfaced facing and some little belt loops. I mis-judged the fit (as ever) so i ended up unpicking the zip and reinserting it. To tell the truth, i actually had to do this at least three times before I got the perfect fit with minimal wonkiness - I was definitely having a sloppy day. It's pretty lucky that I'd made it too big rather than too small though. It's also good that I chose a tough fabric that could withstand all that unpicking! The only thing I might do differently with the Chardon would be to make it a little bit longer. I didn't have any bias tape to finish the skirt (as the pattern suggests) so I just did a regular turned up hem, which made it a bit shorter than it should be. I would probably use an invisible zip next time too. Other than that, I'd say it's pretty spot on. Now which Deer and Doe pattern do I try next? In other (very exciting!) sewing news, I'm starting a pattern drafting and garment construction course next week! It's an evening course that runs up until the end of the year, so I'll hopefully be posting some bits about my progress throughout. Fingers crossed it goes well! 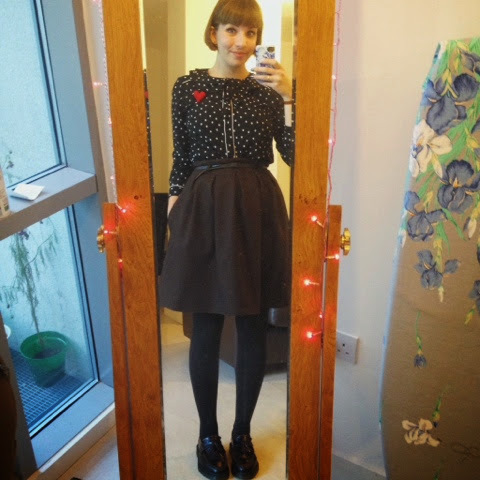 Thanks so much Cerian :) I'd definitely recommend the pattern for a winter skirt!